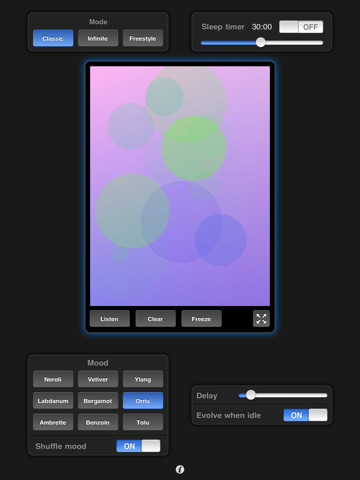 As part of the first wave of applications for the iPhone and iPod touch in 2008, Bloom redefined musical boundaries. Part instrument, part composition and part artwork, Bloom’s innovative controls allow anyone to create elaborate patterns and unique melodies by simply tapping the screen. A generative music player takes over when Bloom is left idle, creating an infinite selection of compositions and their accompanying visualisations.